Greenville Our Services - Dr. William W. Brown, Jr.
Brown Dental Associates is a one-stop shop for your family’s dental needs. Greenville, SC dentists at Brown Dental Associates offer a wide range of services and treatment options: general dentistry (professional cleaning, exams and checkups, cavity prevention, risk assessment and management), cosmetic dentistry (teeth whitening, porcelain veneers, tooth-colored fillings), restorations (crowns, bridges, dental implant restorations), and advanced periodontal care. 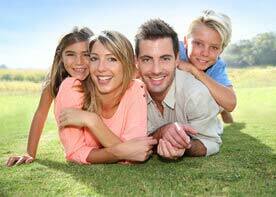 We offer dental care for patients of all ages. We encourage parents to bring their child to the dentist as soon as the first tooth erupts or before the child turns one. Early dental visits help children get used to regular dental care, and it is a great opportunity for kids to participate in their oral health. We are a prevention-focused practice. We offer services that keep your teeth and gums healthy for life and help avoid costly and complicated procedures later. We recommend regular professional cleanings and checkups to detect and treat small problems before they become big ones, oral cancer screening to identify abnormal changes in the oral cavity, cavity risk assessment and detection with DIAGNOdent, and anti-cavity sealants and fluoride. Your dentist in Greenville, SC is one of the few professionals in the area offering advanced gum disease management with Perio Protect. Perio Protect is an FDA-approved non-invasive treatment for moderate to severe periodontal disease. The system features custom trays that deliver bacteria-killing medication into the gum pockets. Perio Protect keeps your mouth free of cavity-causing bacteria between appointments. Everyone can benefit from a smile makeover. We offer personalized teeth whitening, veneers, bonding, tooth-colored and mercury-free fillings and dental implant restorations to transform dull teeth into a celebrity smile. Come visit us today to learn more about the services we offer. Call 864-408-8873 now or click here to reqeust an appointment.